Book through our website now to receive the best rate guarantee. Ideally located in the heart of Crawley town centre and close to Gatwick Airport and Manor Royal. The Ramada Crawley Gatwick is located in the heart of Crawley town centre, with Restaurants, Cinemas, Pubs and major shopping facilities on the doorstep. Ramada Crawley Gatwick Hotel is ideal for convenient access to both Gatwick airport and Crawley town. We are also close to Brighton, Kent, Surrey and London. Dating back to 1615, this former coaching inn is steeped in history and character and now boasts of 84 high quality refurbished bedrooms with modern facilities including WiFi in all bedrooms. Gatwick airport is located just 3 miles away (10 minute drive) and Crawley train station is just a 5 minute walk away. The hotel has a range of restaurants and bars including a Chinese buffet restaurant, Thai restaurant and a Roman themed cocktail bar. The hotel also has a variety of conference rooms available for hire. 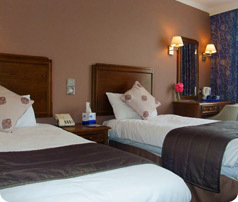 Ramada Crawley Gatwick caters excellent services, for both business and leisure guests. With an ideal location on the High Street, close proximity to Gatwick Airport and convenient access to both London and Brighton, makes Ramada Crawley Gatwick a perfect hotel for frequent travellers. We offer a range of facilities that meet the requirements for business and leisure clients making it a perfect stay in the Gatwick Crawley area. The hotel boasts fully equipped bedrooms with sophisticated services including free WiFi throughout the hotel and on-site parking. We take the lead from other cheap Gatwick airport hotels as we provide the convenient parking facility not available at most hotels. All rights reserved. Copyright � 2019 Ramada Crawley Gatwick.